The easiest way to play back MP4/H.264 files is to use the VLC (VideoLAN) player. You can find VLC downloads for various operating systems on this page. The problem with using VLC is that is isn’t the most efficient, and it does not work with certain MP4/H.264 files – for a more fool proof method, please read on. 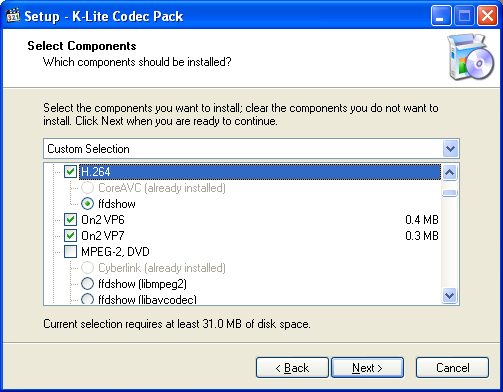 First, download and start the install for the K-Lite Codecs Pack (click to download the latest version). 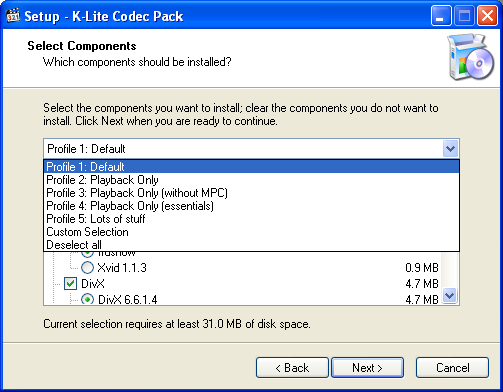 K-Lite’s install program might ask you to remove any existing codec and codec packs that might interfere with the set of software K-Lite will install – it is recommended that you follow K-Lite’s advice and uninstall them. When you get to the “Select Components” section of the install, select “Profile 1: Default”. Scroll down a bit until you see the “H.264” option under “DirectShow video filters” section, select the checkbox and select “ffdshow” as the decoder to use. Press the “Next” button until you get to the “Select Additional Tasks” section of the install. Scroll down a bit to the “Make Media Player Classic the default player for:” section – select the formats you want Media Player Classic to play, otherwise deselect them to keep using you current media player to play them. 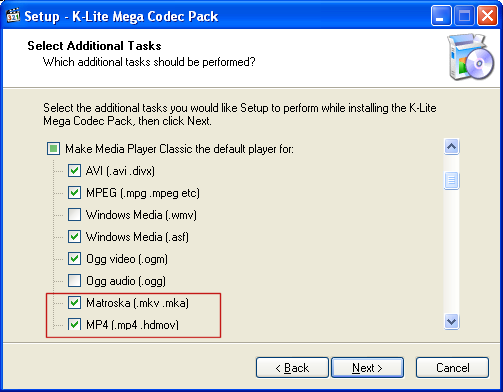 Make sure the “Matroska (.mkv, .mka)” and the “MP4 (.mp4, .hdmov)” are selected if nothing else. Press “Next” again and then “Install” to start the installation. Once the installation finishes, you should now be able to play MP4/H.264 files (as well as MKV/H.264 files). We will now download and install the latest ffdshow (click to download the latest version) to ensure the latest H.264 playback support. Go along with the install until you reach the “Select Additional Tasks” section of the install. Ensure “H.264 / AVC” option is selected. Continue on with the install using the default options (you might want to change the “Speaker Setup” option) and the latest ffdshow will be installed onto your system. Press “Finish” to close the installer and your MP4/H.264 files should now be ready to play – double click on them and they should open in Media Player Classic, ready for playback!